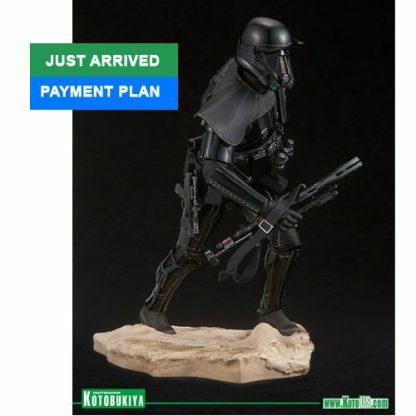 Kotobukiya returns to their 1/7 scale STAR WARS ARTFX line with the Death Trooper from Rogue One: A STAR WARS story! 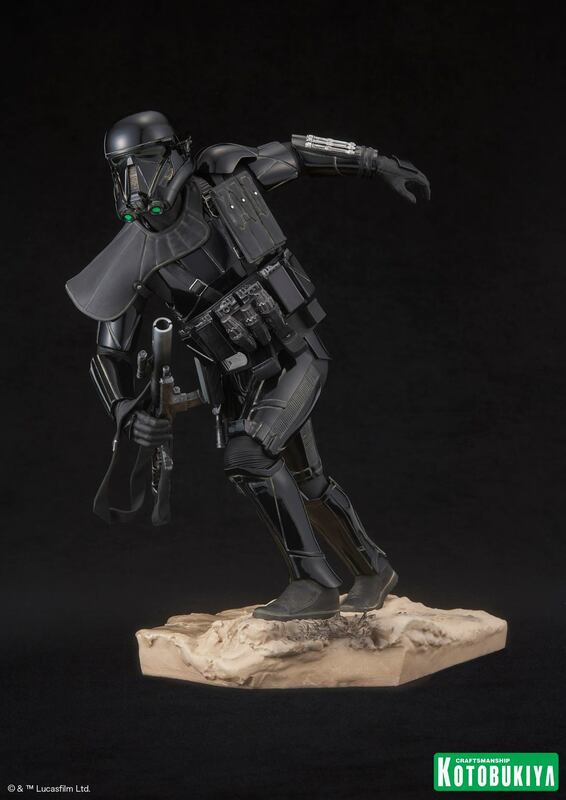 The Death Trooper is displayed in action, charging forward toward the enemies of the evil Galactic Empire. 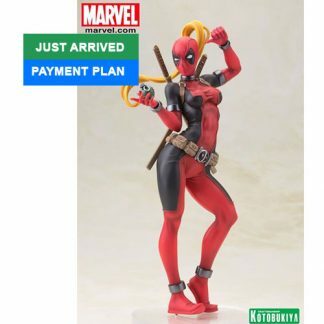 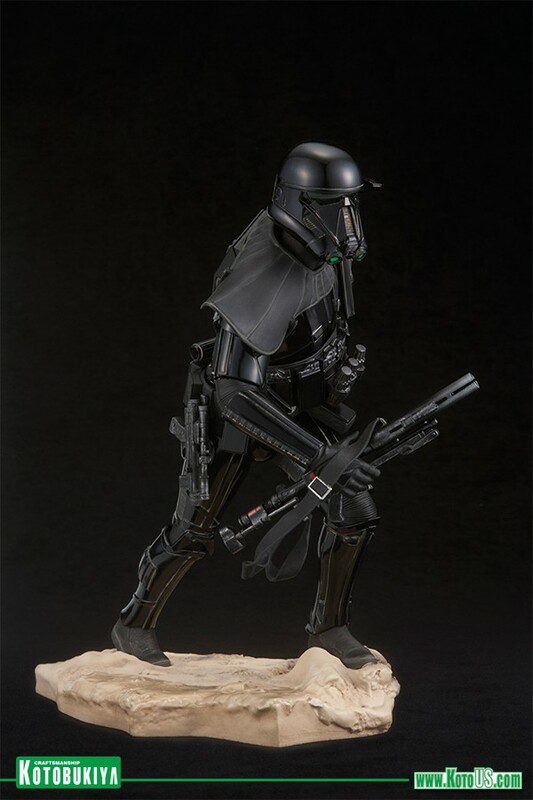 Highly detailed sculpt recreates the armor and weapons as seen on-screen. 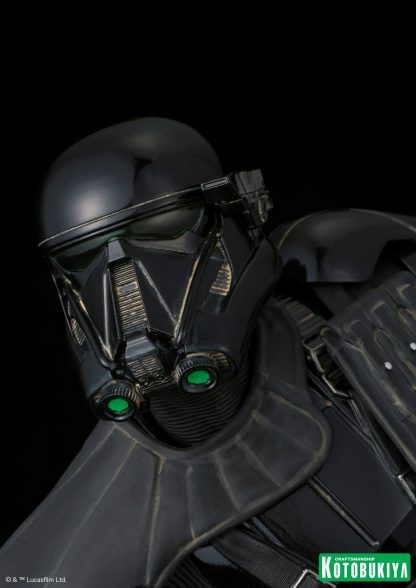 Exhaust ports on helmet feature a green glowing effect. 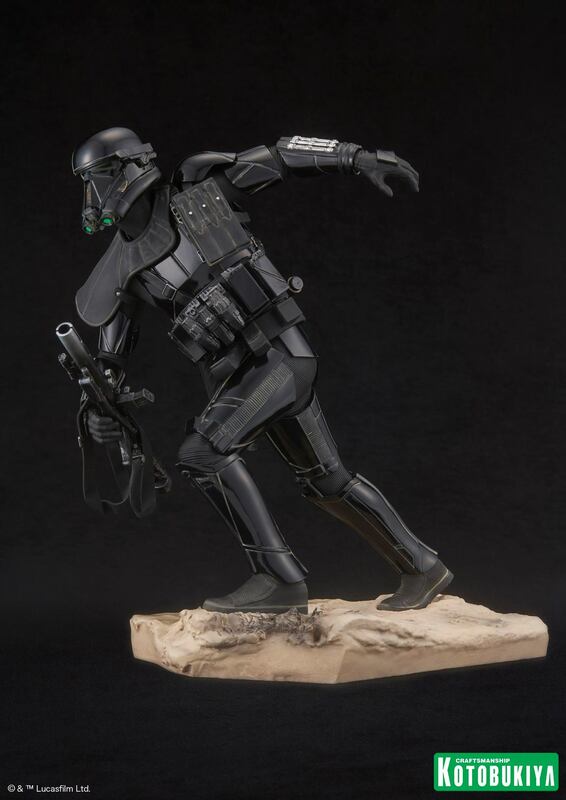 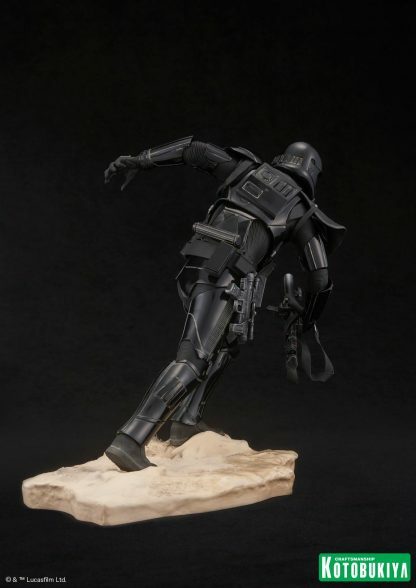 The Death Trooper stands 24 cm/9.45 inches tall, and comes with a base sculpted to resemble combat terrain.